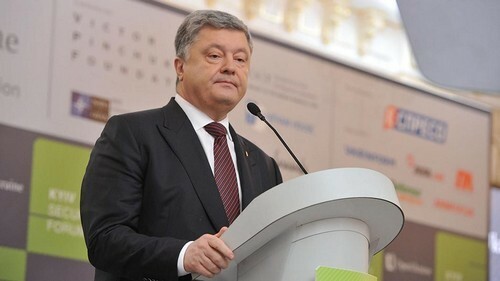 Ukraine has decided to expand sanctions on Russian companies and entities to mirror those of the United States, which has blacklisted tycoons and allies of Russia’s Vladimir Putin, Ukrainian President Petro Poroshenko said on Wednesday. Kiev has also extended existing sanctions it introduced against hundreds of Russian companies and entities in response to the annexation of Crimea in 2014 and Kremlin support for a pro-Russian separatist uprising in eastern Ukraine. “With today’s decision, we have coordinated new sanctions … with those that have been introduced by the United States against citizens and legal entities of the Russian Federation,” Poroshenko said in a statement after a meeting of the country’s Security and Defense Council. He did not say which individuals were on the latest list or when the sanctions would come into force, but he has previously said Ukraine would sanction Russian oligarchs including Oleg Deripaska. It is not clear what effect the new Ukrainian sanctions will have as many Russian companies have already sought to wind up their Ukraine-linked activities due to earlier sanctions. If Deripaska is on the new list it could impact the operations of the Mykolaiv plant in Ukraine, which is the second-largest alumina asset of Deripaska’s Rusal. The Mykolaiv plant has previously declined to comment on the impact of possible sanctions on Deripaska. The security and defense council said the new sanctions would be in force for at least three years and included penalties on Russian lawmakers and top officials.